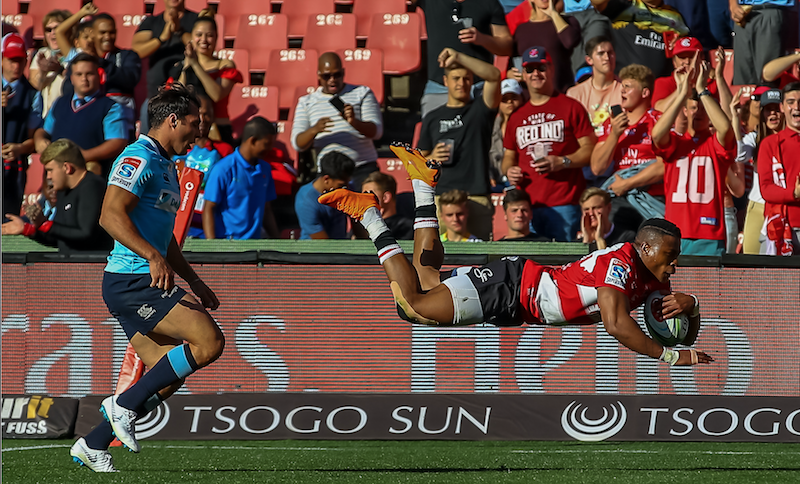 Sensational winger Aphiwe Dyantyi is an inspirational example of how stardom can be achieved through unconventional means, writes CRAIG LEWIS. We’ve all heard this story countless times before: a talented young player goes to a traditional big rugby school. He earns Craven Week selection and is spotted by scouts from one of the leading unions in the country. 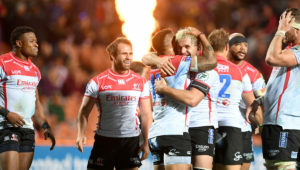 For the best of the best, there is often more than one offer to consider, but the end result is often a junior contract with a Super Rugby union before a schoolboy star has even completed matric. This is a system that has bred hundreds of top Springboks, and one that is so integral to the enduring talent pool available to South African rugby. However, just now and then, there is a wonderfully refreshing story of a player who has made it to the top via a completely unorthodox route. No U18 Craven Week exposure. No SA Schools. No Junior Boks. Just sheer, raw talent. Dyantyi falls smack bang in the middle of this rarest of roads to Super Rugby and Springbok success. As a fresh-faced teenager, Dyantyi went to reputable boys high school, Dale College, but any traditional tale stops there. After failing to make the 1st XV in matric, Dyantyi opted to pack away his rugby boots and began to focus on his tertiary studies. It was a decision made not with petulance or resentment, but rather a clear-minded realisation that his future perhaps lay elsewhere. For Dyantyi, his move to the University of Johannesburg was seen as an opportunity to make a fresh start, and he duly threw himself into his books (for the record, he now has a BCom honours degree). He continued to dabble in another passion of his: soccer, but also found himself back on the rugby field on a social basis, helping out by playing for his koshuis (residence) on occasion. It was then that a relatively chance encounter with former Lions centre Mac Masina set his career on a different trajectory. 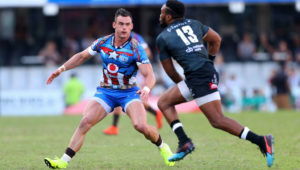 Besides offering Dyantyi an opportunity to play for UJ, Masina also encouraged the talented youngster to open his mind to playing on the wing (he’d previously been deadset on making it as a flyhalf). 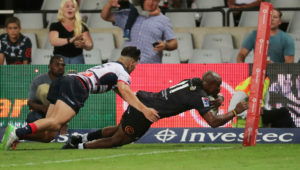 From there, Dyantyi sped through the ranks, starring for UJ before making his Currie Cup debut last year, which led to a dream debut season in Super Rugby that saw him rewarded with three Bok caps against England this past June. It’s a special story, and one that deserves retelling. 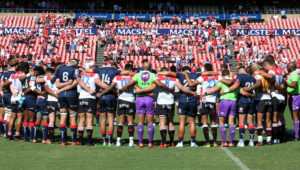 On Saturday, Dyantyi underlined all his class with one of the solo tries of the season as he chipped and gathered his own kick before switching gears to leave Waratahs flyhalf Bernard Foley grasping at thin air. The Super Rugby final will be better for it now that Dyantyi has been cleared of injury to feature against the Crusaders. Over the course of the 2018 season, he has already proven to be an inspirational figure for different reasons. For any high school player dealing with the disappointment of missing out on 1st XV selection, they would do well to think of Dyantyi. For any youngster with big dreams thinking about giving up the game, they should hear the Dyantyi story. He’s proven that you don’t have to be a superstar by the age of 18. He’s proven that if you take care of both your body and mind, that the reward can be worth the wait. He’s proven that persistence, self-belief and a willingness to accept advice can go a long way. 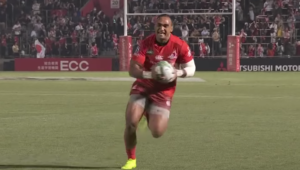 In short, he’s been South African rugby’s find of the season. The fact he had opted to hang up his rugby boots just a few short years ago just makes the discovery all the more compelling.